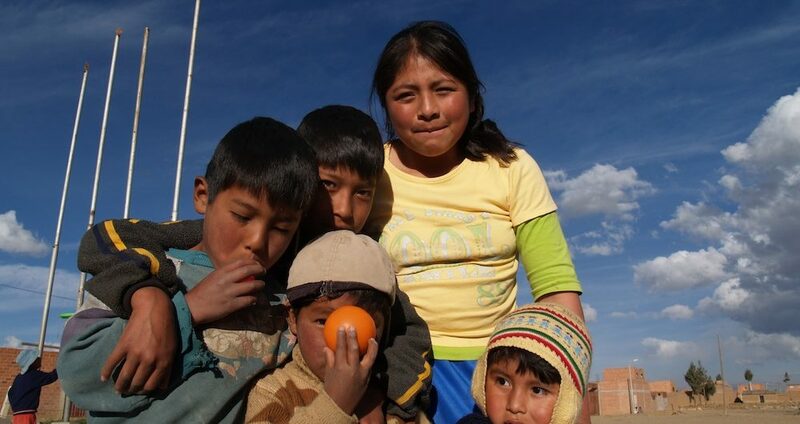 ATD Fourth World, present in Peru for the past thirty years, conducts projects relating to access to knowledge and culture, respect for human rights, and the active participation of people living in extreme poverty in the life of their community. These projects take place in three very different contexts: Lima, the urban capital; Cusco, a medium-sized city; and Cuyo Grande, a very low-income indigenous rural community near Cusco. Each week in four different communities, six to ten young facilitators sit on the ground with children who have no other access to culture. Together, they read books, create artwork, and appreciate beauty — a first step toward education, self-expression, and knowledge. The Street Libraries take place every Saturday in the Vista Alegre slum of Lima, the rural community of La Vizcachera close to the capital, the Moises Barreda neighborhood of Cusco, and rural Cuyo Grande. A total of 250 children participate. Small groups of four or five people meet regularly with an ATD Fourth World Volunteer Corps member in their neighborhood. Together, they work on a proposed topic and prepare a presentation for larger Uyarinakusunchis meetings where all these groups come together with guests, professionals, experts, academics, and others. The Uyarinakusunchis take place in Lima (20 participants) and in Cusco (75 participants). They allow for an exchange of ideas between people living in poverty and other stakeholders in society and provide an irreplaceable space for citizen participation. Opened in 2013, this house is a place for cultural, educational, and training activities. It has a library and a computer workshop. Open four days a week, it holds film discussions, ceramic workshops, and early-childhood experiential learning activities. With 200 participants, these activities aim to teach skills, support access to culture and knowledge, and develop the capacities of people living in poverty based on their aspirations and their talents. The House of Culture creates links between people experiencing exclusion and others in the community; they are brought together by cultural, creative, and intellectual activities. Relationships developed here change the way people look at each other, which is a key factor in reducing exclusion in this very low-income rural community. The annual budget for ATD Fourth World–Peru is $157,000 (€140,000).